Big Hero 6 is an action-packed comedy-adventure about a robotics prodigy named Hiro Hamada. This 14-year-old hero learns to harness his genius, thanks to his brilliant brother Tadashi and their like-minded friends. When a devastating turn of events catapults the gang into the midst of a dangerous plot unfolding in the streets of San Fransokyo, Hiro turns to his closest companion – a robot named Baymax – and transforms the group into a band of high-tech heroes determined to solve the mystery. How would you describe the story of Big Hero 6? 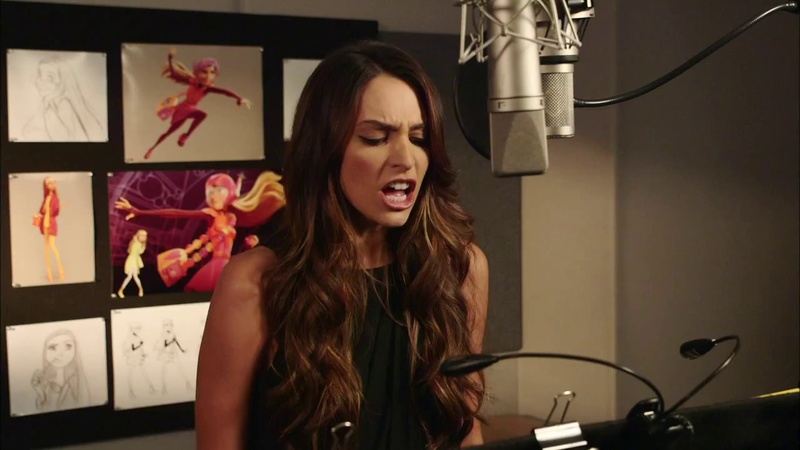 GENESIS RODRIGUEZ: Baymax is awesome. The movie is filled with crazy gadgets and gizmos. What are your favorites? GENESIS RODRIGUEZ: I love my character’s purse. It’s so cool! Inside, it’s a mobile chemistry set, so my character can create lots of different concoctions. If you could build your own robot, what would you make it do? GENESIS RODRIGUEZ: I would definitely build Baymax. He’s perfect because he’s so selfless. Plus, he has all those upgrades. You could teach him how to do just about anything. How does voice work for an animation compare to acting for a live-action project? GENESIS RODRIGUEZ: With live-action projects, we rely on our facial expressions a lot – but with an animation, it’s all about your voice and nothing else. Big Hero 6 is a movie about heroes. What makes a good hero? GENESIS RODRIGUEZ: I think a hero is someone who goes out of their way to do extraordinary things. I think a hero is someone who has gone through really incredible circumstances to give back instead of going down the wrong path. They are selfless. GENESIS RODRIGUEZ: That’s a beautiful response. I totally agree. What would you do if you were a superhero for the day? GENESIS RODRIGUEZ: Personally, I would like the power to be able to communicate with everyone, everywhere in the world. I’d know unlimited languages, so that I could talk to every single person on Earth.